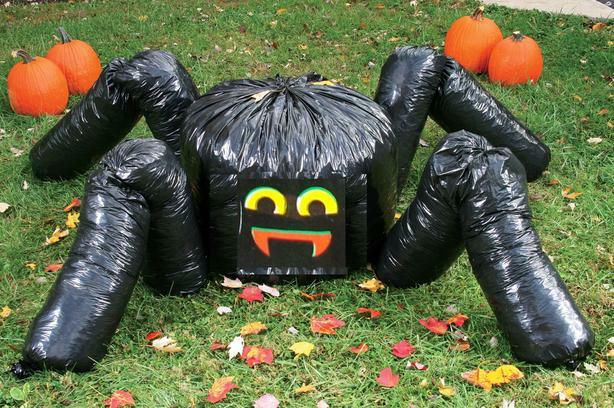 Halloween Jumbo Spider Lawn Leaf Bag - Approx 11' feet wide... Package Contents: Body (1pc) / Legs 70" Long (4pcs) / Spider Nails (8pcs) / 8" Twist Ties (13pcs). Fill with leaves, newspaper, balloons or w.h.y. I have several on hand if more than one is desired. Will ship via Canada Post approx $3.50 in B.C. $4.50 anywhere in Canada. Cost is for "one" item, contact for higher quantities. I accept: Cash, PayPal or Bank Transfer.